Happy Friday readers! This week’s Fantasy will be especially poignant for all New England residents, people who love New England, people who love baseball, and people who love cheering for the underdog (mostly when the underdog wins in the end). I’ll leave you to Ash’s tender care, because he begged me for the opportunity to write this particular post. 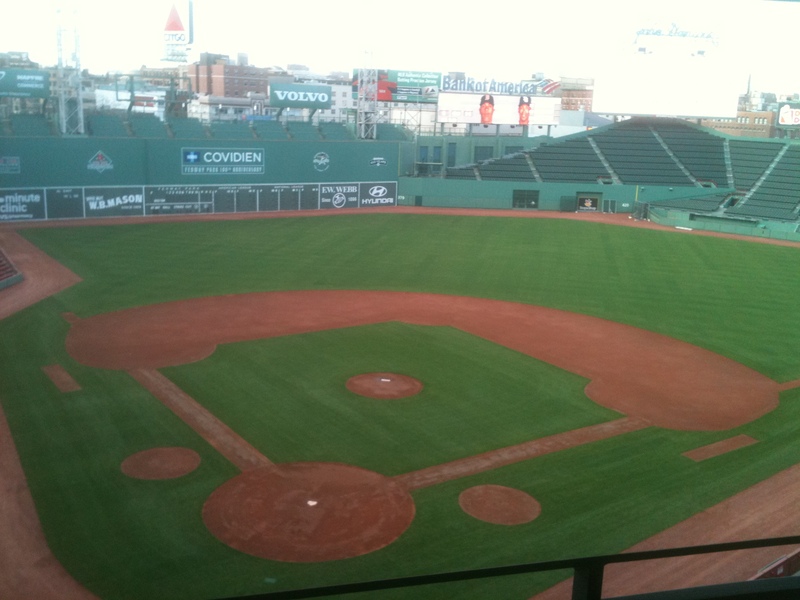 Today marks the 100th anniversary of the opening of Historic Fenway Park in Boston. This afternoon, the Boston Red Sox and New York Yankees will commemorate the 100th anniversary of the opening of our ballpark, doing the thing that we love to watch them do, playing out a rivalry as old as Fenway itself. This year is even more auspicious, as it will be the first season we’ll watch a game played out in a bonafide historic ballpark that’s listed in the National Register of Historic Places! Yes, you read that right. 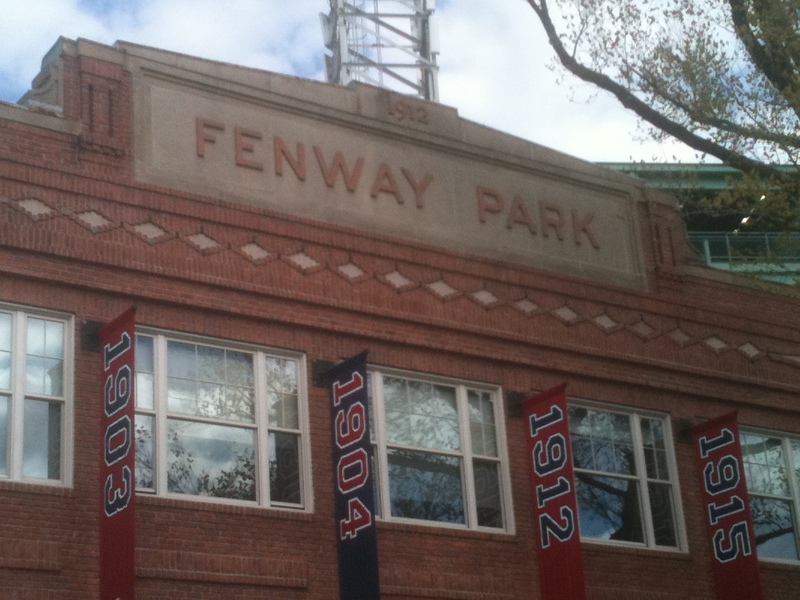 Fenway was listed in the National Register just last month, thanks to the efforts of Fenway Sports Group and their associates, and the Massachusetts Historical Commission. But what makes it so special? 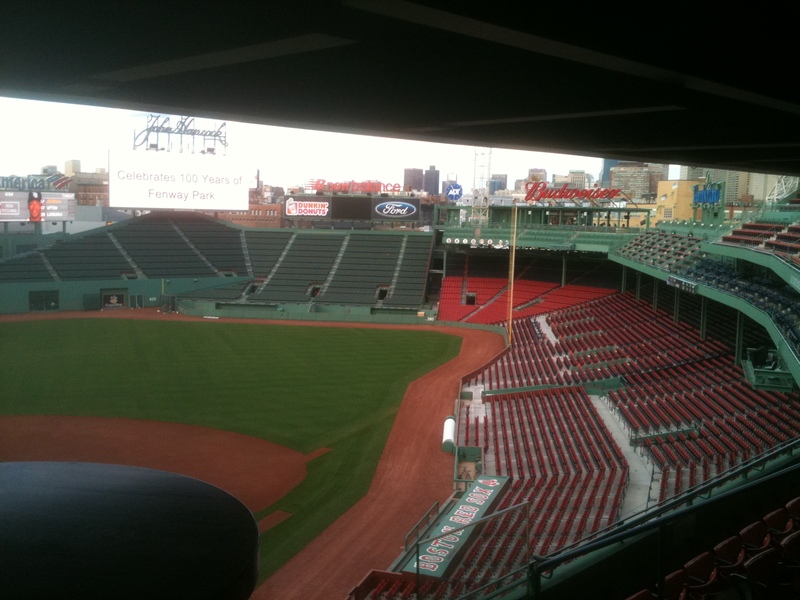 Construction of Fenway Park began in September, 1911, and the 24,400-seat stadium opened seven months later. On April 20, 1912, the Boston Red Sox and the New York Highlanders (a team you might recognize better by the name they were given a year later: the Yankees) faced off in a brand-new stadium in Boston’s Kenmore-Fenway neighborhood. The Sox won that momentous very first home opener, and went on to win the 1912 World Series. Fenway’s long and storied history has been played out by countless baseball legends, with seasons that brought both joy and heartache, triumph and trials. From the Green Monster to the Red Seat, the manual scoreboard to Pesky’s Pole, Fenway has become an icon to Sox fans, the holy ground where they go to commune with the heart and soul of America’s pastime, to feel the presence of heroes past and present and maybe walk in their footsteps. The park has seen its share of renovations over the years, but has remained largely unchanged, even the seating numbers haven’t changed much, with a capacity a little over 37,000. 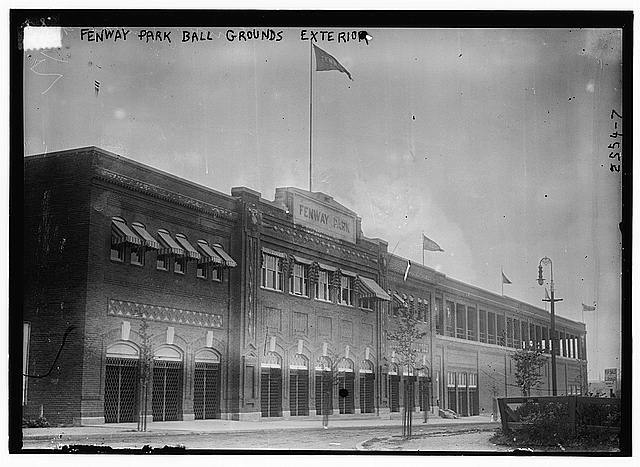 It’s likely that the parks various quirks, such as its asymmetrical field (like many of the ballparks built during the ‘Golden Age’, Fenway was built on an asymmetrical lot, resulting in an asymmetrical field, measuring only 302 feet along the right field line to the foul pole) and “outdated” systems and features, prompted the former owners to announce a plan for the demolition and replacement of Fenway with a new, modern ballpark. 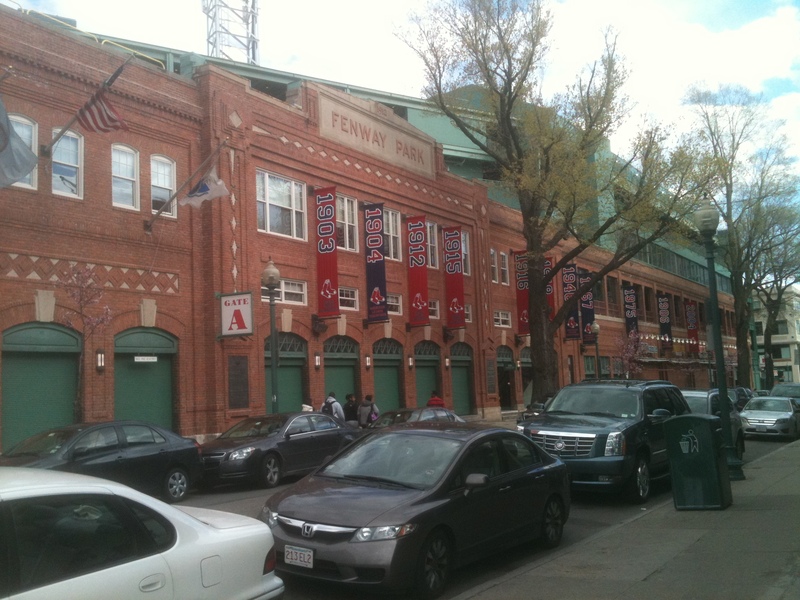 Due to public outcry, stalled negotiations with the City of Boston and the sale of the Red Sox to more sympathetic owners in 2001, that dreadful plan was dropped, to be replaced with ten years of preservation and renovation projects intending to keep Fenway running for at least 50 more years. Now, the architecture! Fenway was built in the Tapestry Brick style, which utilizes a combination of red brick and cast stone laid in decorative patterns to give the building visual interest. 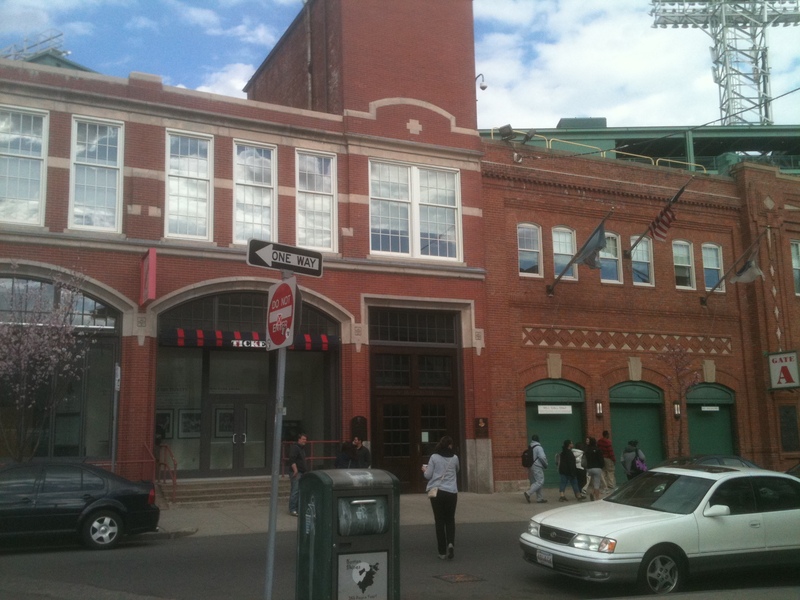 Designed by Boston architect, James E. McLaughlin, the Yawkey Way facade, which you can see below, is an excellent example of the style, and shows how the brick is tilted, pushed and pulled on the facade surface, and woven into an aesthetic tapestry. 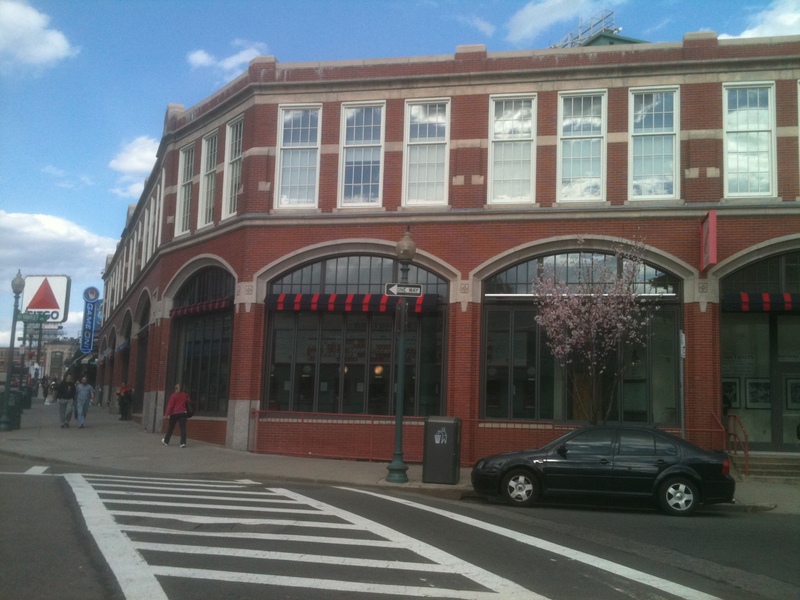 In 1933-34, the engineering firm responsible for designing the stands in 1912, Osborne Engineering of Cleveland, designed the expansion that extends toward Brookline Avenue. Though more Gothic in its styling, the use of red brick, stone and arched windows blends it well with the older portions of the ballpark. Before I wrap up, I’ll leave you with a view of the field. After all, what’s a visit to a ballpark without seeing the place where the magic happens!? There’s the Green Monster, the massive 37-foot left field wall that not only holds the scoreboard, but dashes many a home run hopeful’s hopes and dreams. In closing, there’s Pesky’s Pole, the right field foul pole named after Red Sox legend, Johnny Pesky. You can also pick out the Red Seat in the center field bleachers among a sea of blue. That seat marks the longest recorded home run, a bomber that Ted Williams launched back in 1946 that went a distance of 502 feet! I hope you enjoyed your virtual tour of Fenway, but I highly recommend making a trip sometime, especially if you’re a baseball fan. It’s awe-inspiring to step into a place where so much baseball history has taken place. Have a great weekend! Go Sox!